Founded in 1999 Concept Sails started as a windsurf sail repair workshop but as kite surfing grew we quickly adapted to fixing these as well. In 2004 we moved to Poole in Dorset to be amongst one of the most popular locations for wind and kite sports in the UK and soon realised there were a lot more things we could fix and build. 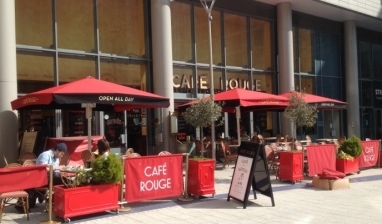 Our main focus is now not on watersports but giant commercial umbrellas, building and supplying over 300 replacement canopies last year to the likes of Cafe Rouge, Welcome Break and Weatherspoons amongst others. 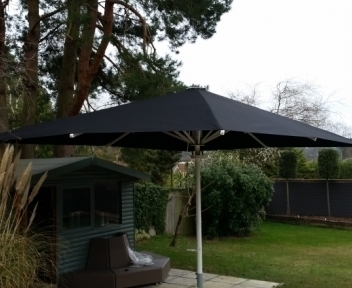 We make replacement giant umbrella covers from digital templates for all the leading frame manufacrurers. Covers for other frames may require an old canopy to use as a template. Unfortunately due to very large volumes of work we are currently not taking on any sail or kite repair until further notice.